It is our wish you experience the best of Zanzibar. Whether unwinding on the beach, discovering the underwater world, visiting the land of spices or exploring the mysterious Stone Town, we are here to assist you in making the most of your time with us. 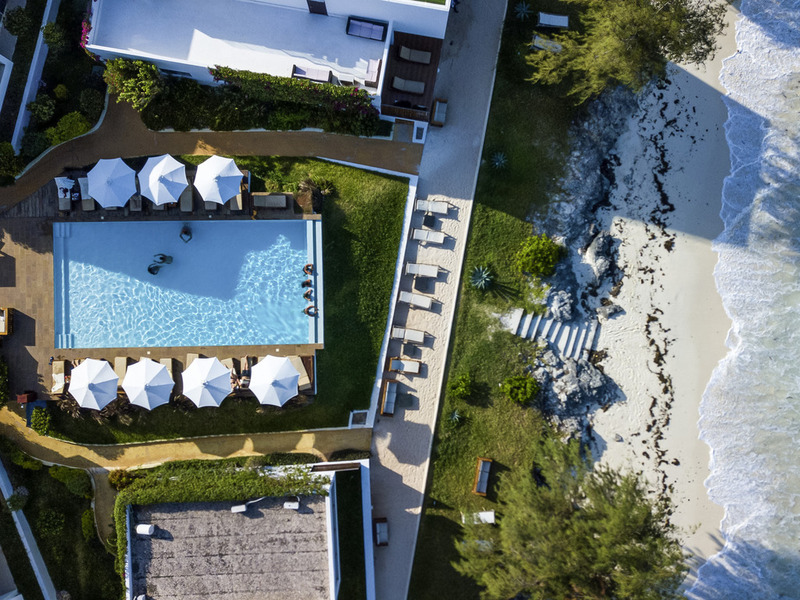 Nungwi Dreams by Mantis is a brand new 5 star luxury boutique hotel situated on the northern tip of Nungwi, the highest rated and most pristine beach on the island. The design elements embody contemporary architecture alongside local Swahili and Arabic fl air giving you a complete experience on the Spice Island. Guests are provided with all the modern luxuries demanded today. Everything has been designed with your comfort in mind without compromising luxuries and conveniences you receive at home. All suites have been designed to maximise views. In the absence of fences, game moves freely through the camp. During the day, the netting at the front of the bedroom can be rolled up to access a private deck directly from the room. Bathrooms are off to the side to provide more privacy, whilst ensuring an unobstructed view. With breathtaking views over the Indian Ocean we are serving daily a new and fresh prepared 5 courses meal with customized varieties for all pallets. The perfect spot to enjoy the sun downer with incredible views over the Ocean and country side. Our pool service bar mixes authentic Zazibarian styled cocktails and more to an absolute perfection.